Fein – founders and leaders of the hand held power tool industry – have constructed a new powerhouse in the durable oscillating tool category. 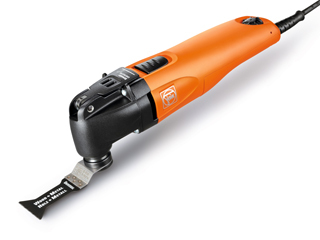 The culmination of 40 years of development experience, the Fein SuperCut Construction is the ultimate oscillating tool. Boasting professional sets for interior woodwork, window repairs and replacement, bathroom renovation, heating and sanitary installation, grout renewal, or any job you could think of around the home, the SuperCut is truly a jack-of-all-trades. This unparalleled array of accessories places this tool at the top of every handyman’s wish list. 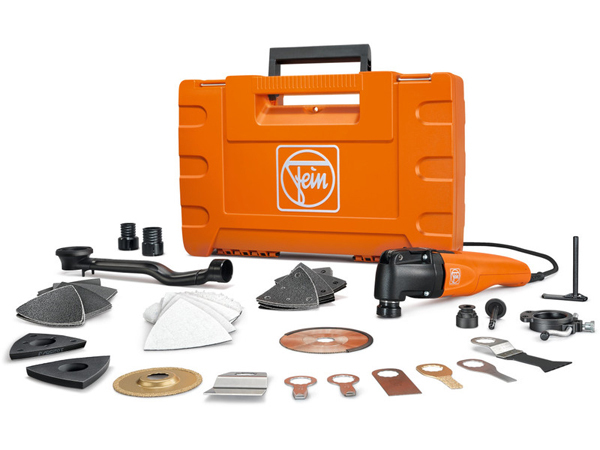 Fein’s patented QuickIN clamping system ensures speedy tool changes without a wrench, and robust metal gear box housing for long service life even in the toughest working conditions. Available as both a mains and battery powered tool, the SuperCut is the perfect tool for the serious DIY’er and the industry professional. The Fein SuperCut Construction is typical of the quality that this industry stalwart has always produced. Versatility, durability and practicality are at the heart of the design and it is evident in the ease with which the operator can complete the most rugged jobs.